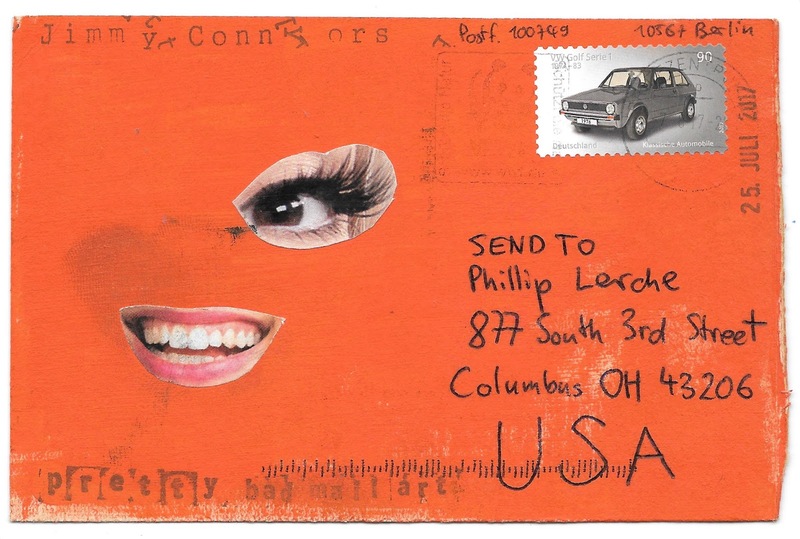 That's what it says on my first piece of mail art from Jimmy Connors, an IUOMA member. I find it a bit strange. I like the front, the back is a bit strange, yes.